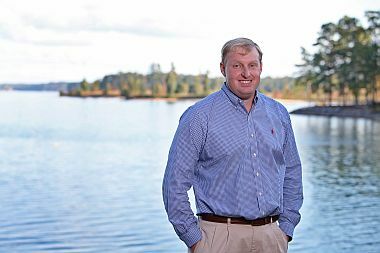 A resident of the Lake Martin area, John Christenberry specializes in selling and listing of Lake Martin homes, cabins, and lakefront lots. John grew up in Montgomery, Alabama and is graduate of Trinity Presbyterian School. He went on to earn a degree in finance from Auburn University. John started his career in real estate with Russell Lands right out of college. His sales production earned his spot as a member of the Presidents Club for 4 straight years. John Christenberry is a member of Frazer United Methodist Church, where he serves as a member of the Board of Stewards. John enjoys hunting, cooking, water skiing, snow skiing, and saltwater fishing.